DBC Rentals | Not a Social Event, It's a Homecoming! Not a Social Event, It’s a Homecoming! 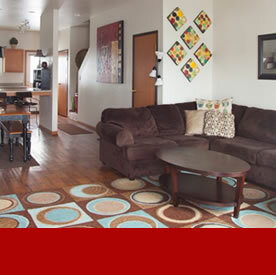 DBC Rentals provides rentals in Columbia MO and offers a variety of apartments to suit your needs, with apartments options including spacious one bedroom and two bedroom apartments, one bedroom duplexes and two bedroom townhomes, each with their own special amenities. With two locations on South Providence Road, our community of complexes offers a quiet retreat, however major conveniences and downtown are mere minutes away. As an added convenience to you, all of our apartments and townhome rental fees include paid utilities and expanded cable. 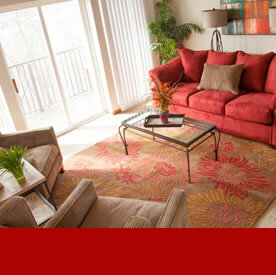 Inquire about which of our Columbia rentals also include high-speed Internet in the monthly rent amount. Many of our apartments and townhomes feature brand new solar panel systems from Missouri Sun Solar, added to help conserve energy and keep monthly rent rates from rising due to increased energy costs in the future. We are excited about our new on-site renewable energy project and continue to explore possibilities for future upgrades as well. 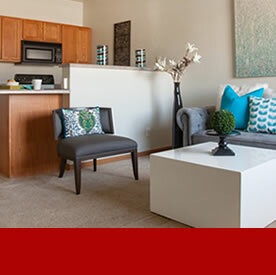 Now signing leases starting this Spring/Summer, please contact us for availability. 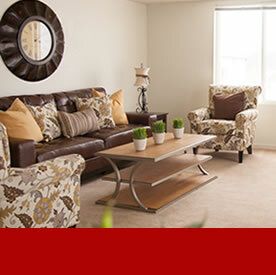 Please call or email to hear about our availability and rent specials including 6 month lease options.